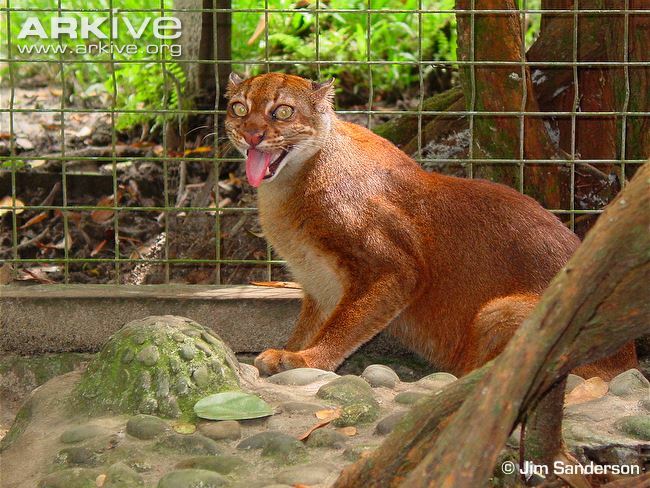 The rare Borneo Bay Cat (Catopuma badia) is endemic to Borneo where few sightings have been recorded, even during research studies focused on felids. 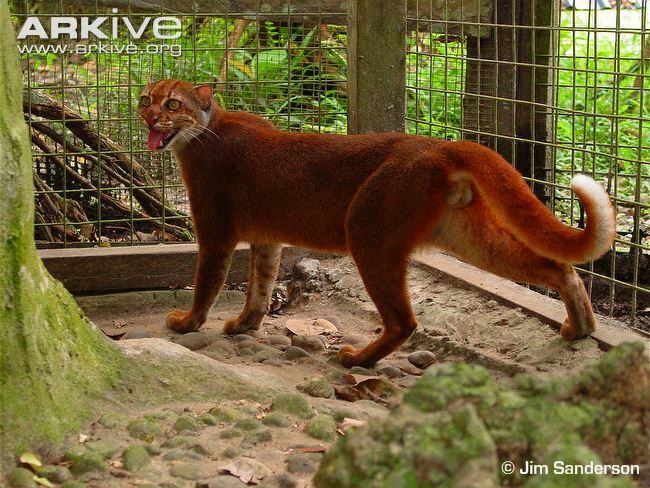 The Bay Cat appearance is similar to the Asiatic Golden Cat, with variable plain coat colors and facial markings, just smaller in size. 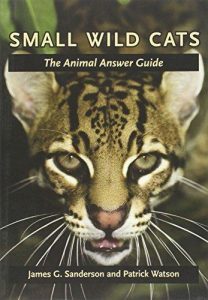 The species is also likely dependent on forest habitat and thus threatened primarily by increasing deforestation on the island. 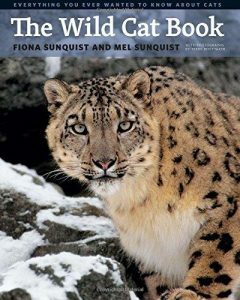 Other threats include poaching for the wildlife and pet market due to the cat's rarity. 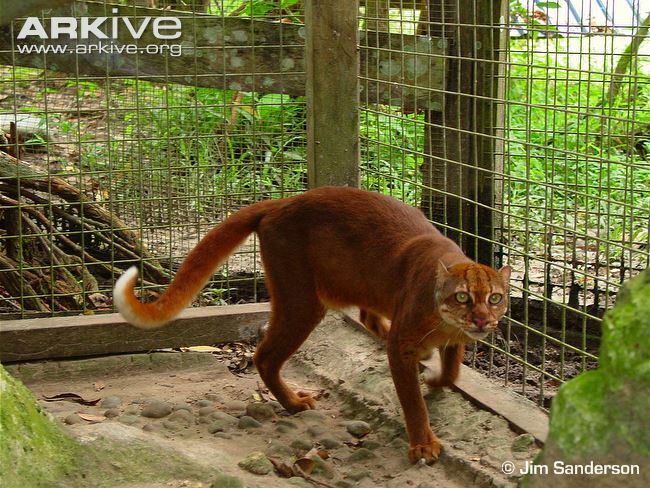 The global conservation status for the Borneo Bay Cat is Endangered (EN) and the population is declining. 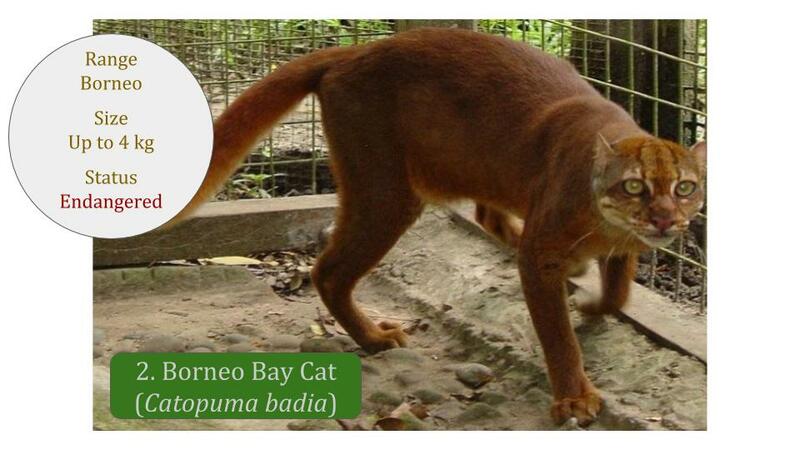 The Borneo Bay Cat has been described as a monotypic species (no subspecies) in the past and the current Felidae taxonomic revision continues with this classification. 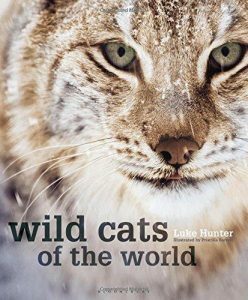 At times this cat has been classified under the Pardofelis genus as Pardofelis badia. Please support them with their important work. No matter how small or large your donation, every bit helps!